Looking west along the platform at the Metalurhiv Metro station, in Dnipropetrovsk, Ukraine. 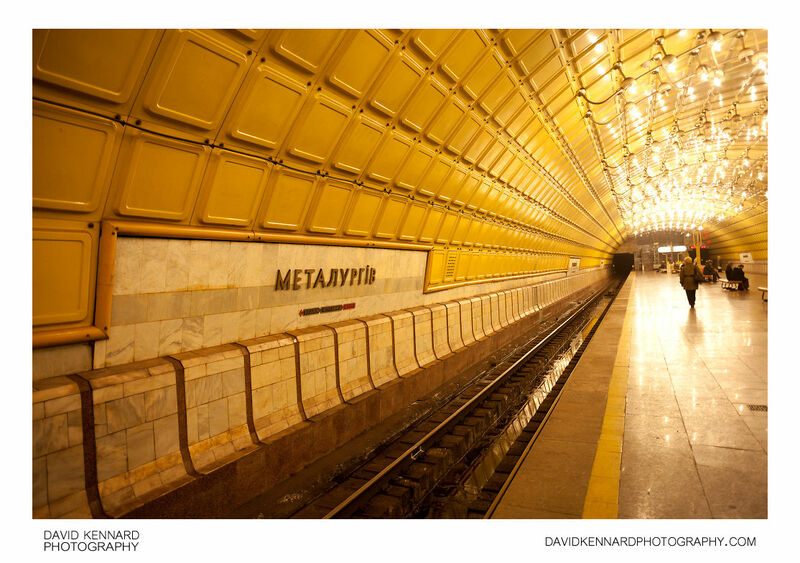 The Dnipropetrovsk metro was the first underground railway to be opened in Ukraine after the collapse of the Soviet Union. It is also one of the shortest metro systems in the world, with a length of only 7.8km. The Metalurhiv station was opened in December 1995, along with the rest of the line. It is named after the metallurgical plant located nearby. Despite opening in 1995, construction of the metro line started in 1982, and was built following the standard Soviet metro construction format.